Designation of Origin (DO): Getaria. Native variety 90% 'Hondarrabi Zuri' and 10% 'Hondarrabi Beltza'. Recommended serving temperature between 8º-10ºC. 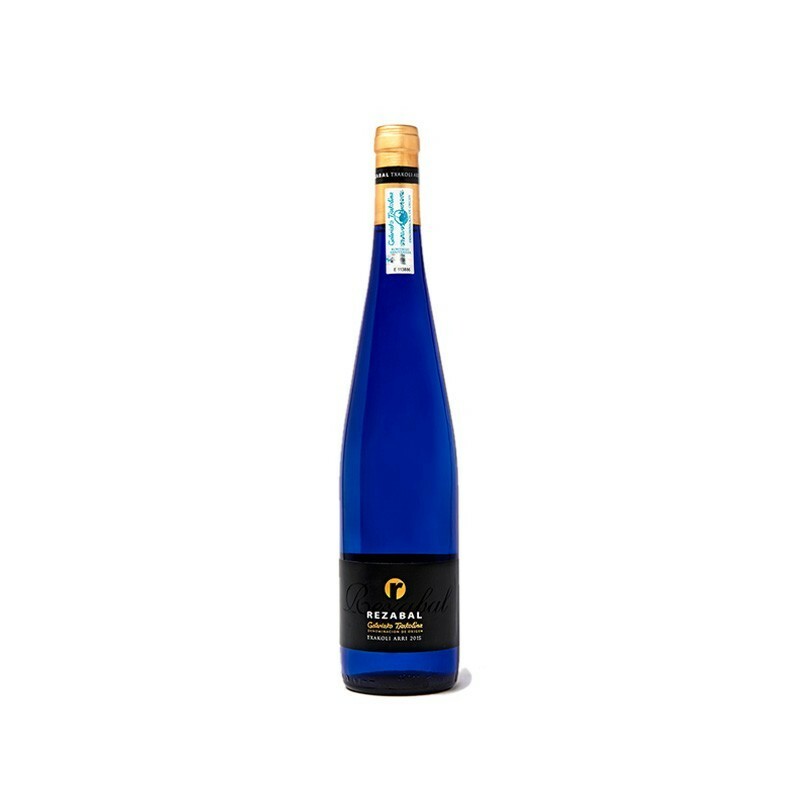 If there's one way to describe the Txakoli Rezabal Arri, it is 'elegant'. Elegant because it is suggestive, balanced and subtle. Suggestive sensations of fruits and white flowers to the nose and mouth, balanced in acidity and volume with a subtle finish. An exceptional Txakoli, with a perfect point of balance in its acidity which lends its unique personality. A crystalline yellow colour with tones of emerald-green. It has an elegant aroma due to its varietal complexity. Intriguing with fruity notes; pineapple, apple, apricot, boxwood, minerals and white flowers. In the mouth it is seductive with a light effervescence, having a subtle and balanced acidity. Sumptuous volume and a long finish.